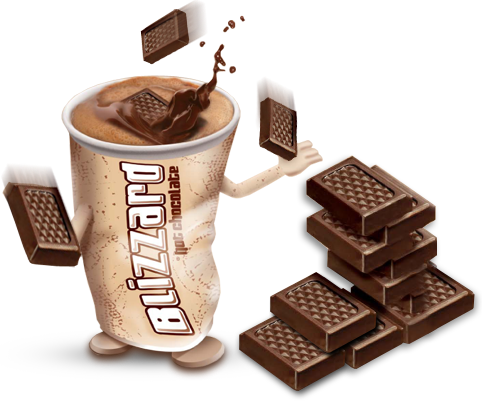 Blizzard Hot Chocolate has been registered with the Healthy Kids Association (AMBER when served in a 215ml serve size). 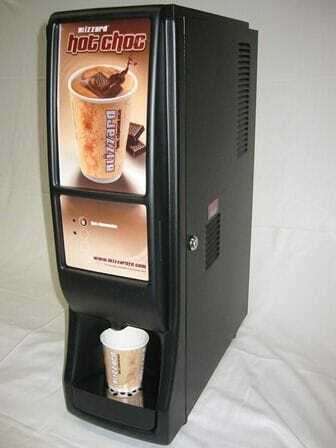 Blizzard provide the school canteen with a Blizzard Hot Chocolate Beverage Dispenser “Free on Loan*”. Therefore, there is no equipment capital outlay required by the school. One (1) Blizzard 5 litre plastic mixing bottle is also provided “Free on Loan”. (utilised for water transfer to dispenser reservoir and additional water storage adjacent to dispenser in peak selling times). Our products have only natural ingredients. Quality natural product manufactured locally in Sydney. Extensive research and testing conducted to ensure flavour popularity. User friendly dispenser designed specifically for the school market. Consistent drink poured every time (generates more sales). Dispenser whips the product mix to provide a hot, frothy & delicious drink. Dispenser ready to serve each morning in only five (5) minutes. Dispenser meets all OH&S requirements when selling hot drinks to kids. Innovative 2kg resealable sachet pack. The next day if the service request is reported after 10am. Sugar, Full Cream Milk, Skim Milk Powder, Cocoa Powder, Milk Protein (Calcium Caseinate), Soy Lecithin, Flavour. Contains Milk and Soy Products.